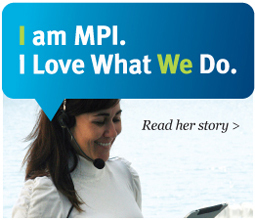 Our mission at MPI is simple: to make our members successful. This is why MPI is leading the charge to make meetings and events, and those who produce them, a key strategic component of every organization’s business. When you join MPI, you’ll receive world-class education customized to your level and position and opportunities to build professional relationships with key contacts within the meetings and events industry. For planners, MPI provides you with the specific education, contacts, and tools you need to execute more effective meetings that further the organization’s overall strategic goals and demonstrate ROI. For suppliers, MPI means business via exposure for your company to over 10,000 planners with average budgets over $1.5 million. Preferred or Premier memberships provide MPI Heartland Chapter members with great advantages. It's what you put into it! This year we are putting a renewed emphasis on attendance and recruitment. We need the help of all current and future members to make us successful. The more members we have, the more ROI there is for each of us. The more members we have, the more brainpower we have. The more members we have, the better our programs are. The more attendance we have at meetings, the better our networking will be. The more networking we do, the more we will know about the products and services available to us. Want to join the MPI Heartland Chapter as an Affiliate Member, download the application. Refer a friend and here is what is in it for you! Current Members with active referrals will have their name entered into a GRAND PRIZE drawing for EACH new member you refer. © 2017 Meeting Professionals International, All Rights Reserved.